Cabo San Lucas is located at the tip of the world's longest penisula. Not only does Cabo San Lucas have pristine white sand beaches and crystal clear blue water, but it's an excellent place to snorkel or scuba dive. The area has an abundant marine life, such as angelfish or yellowtail surgeons. You're sure to enjoy yourself in this Mexican paradise. 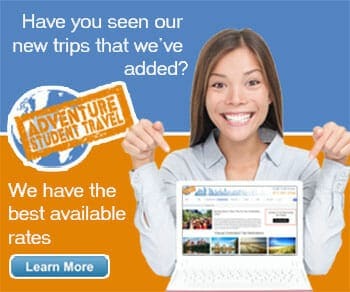 Let Adventure Student Travel book your student cruise to Cabo San Lucas Today!